The September 19th meeting included an informative presentation on Salisbury Family Services by its director, Patrice McGrath. In addition, we welcomed two special Rotary District 7890 guests: Robert Belden (New Milford Club), Area 8 Assistant Governor, and Kyong Wilson (Bristol Club), District Governor Nominee for 2015-2016. 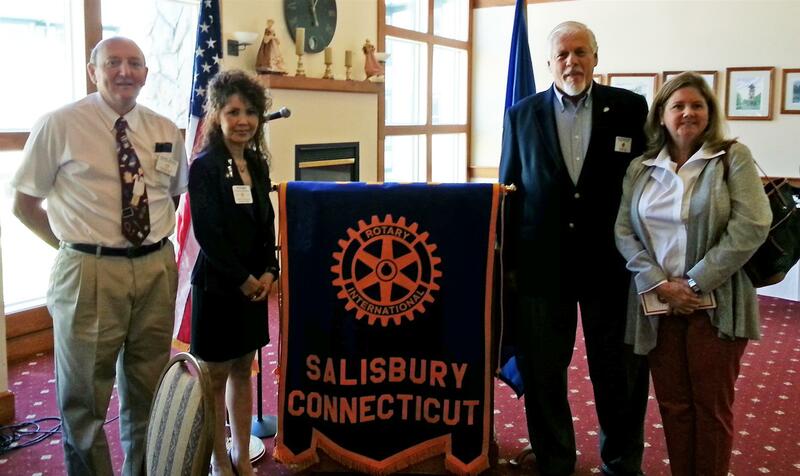 Pictured here, L to R, with Salisbury Club President John Hedbavny: Robert Belden, Kyong Wilson, John Hedbavny, Patrice McGrath.